Using a series of clear aligners that are virtually invisible, Invisalign uses the very latest dentistry technology to straighten teeth without braces. The aligners are made through a combination of Dr. Choi’s expertise and 3-D computer imaging technology. As you replace each aligner with the next in the series, your teeth will move – little by little, week by week – until they have straightened to the final position Dr. Choi or Dr. Choi has prescribed. You’ll visit Drs. Choi or Choi about once every 4 weeks to ensure that your treatment is progressing as planned. Ready to straighten your teeth? The cost of Invisalign is different from patient to patient because everyone has unique needs. At your consultation with Drs. 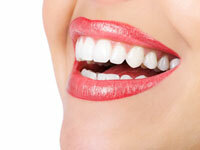 Choi or Choi, Invisalign cost will be discussed and the cost of Invisalign will be determined. 5 out of 5 stars based on 2 Invisalign (Clear Braces) reviews.